USING THE SOLID SURFACE VARICOR©, SCHÜSCHKE SOLID SOLUTIONS CONSTRUCTS AND SHAPES ULTIMATE SOLUTIONS FOR ALL KINDS OF AREAS OF PUBLIC AND PRIVATE LIFE. OUR PRODUCT RANGE IS PARTICULARLY INTENDED FOR SANITARY FITTERS AND ARCHITECTS AS WELL AS DESIGNERS AND PARTICIPANTS OF THE CIVIL AVIATION INDUSTRY. Kirchentellinsfurt, 22 February 2019 – From 2th to 4th of April 2019, Schüschke will exhibit in Hall B6 at stand E90/J at the Aircraft Interiors Expo (AIX) in Hamburg. 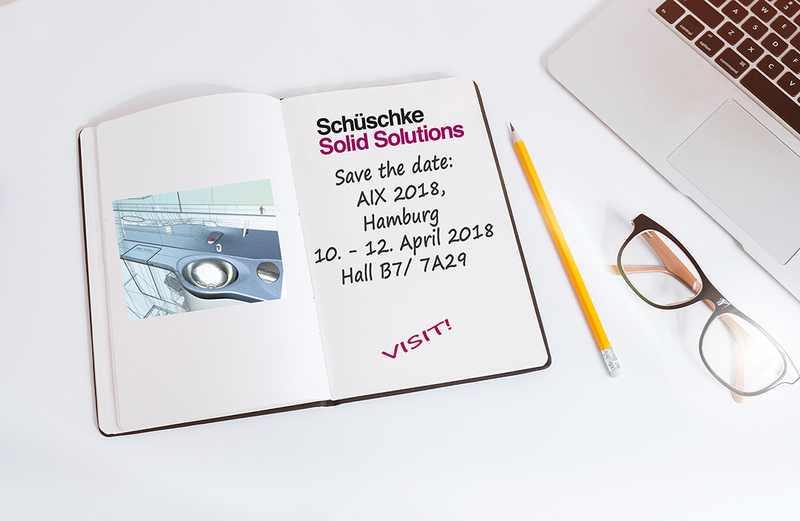 Schüschke, the undisputed global leader in innovative solutions using the solid surface material Varicor®, will present its latest innovations at the Aircraft Interiors Expo (AIX) in Hamburg, focusing on two key domains: Anti-bacterial coatings and heat release. Kirchentellinsfurt, 05 March 2018 – From 10th to 12th of April 2018, Schüschke will be exhibiting in Hall B7 at stand 7A29 at the Aircraft Inte-riors Expo (AIX) in Hamburg. The processor of the solid surface material Varicor®, used in the aircraft industry, gives an insight into its latest product developments. Schüschke will be reflecting the trade fair motto "Future Innovations" with promising new developments: Visitors can look forward to numerous innovations. Schüschke GmbH & Co. KG will be attending the Aircraft interiors EXPO in Hamburg. Come and visit us in Hall B7 | Stand 7A29. Schüschke Solid Solutions will be attending Aircraft Interiors Hamburg. Be part of the world’s largest Aircraft Interiors exhibition to view the latest and best innovations the industry has to offer. Come and visit us on Stand 6A30. We are looking forward to see you. If you need more information or you would like to do an appointment please contact us. The governing mayor from Hamburg Olaf Scholz and the Minister of Economic Affairs in Baden-Württemberg Dr. Nils Schmid have visited Schüschke Solid Solutions.